Anyone who follows me on Twitter will know that one of my least favourite times of the week is taking my kids to their weekly swimming lesson. I’ve always considered swimming a life skill and it’s also something that both of them enjoy, but boy, the whole getting them out of the pool, showered and dressed again in a cramped changing cubicle thing can drive me mad! Especially as all three of us are tired and hungry at that point. To make the whole thing somewhat more bearable though I’ve started using the time that they’re in their lessons to try to improve my swimming and have a bit of me time. As they both have lessons at the local leisure centre we now have a routine where I go in the play pool with them for ten minutes or so before their lesson and then whilst they’re being taught I go and swim lengths in the big pool and get to enjoy 30 minutes of feeling like I have no responsibilities other than just making sure I don’t drown in front of everyone! 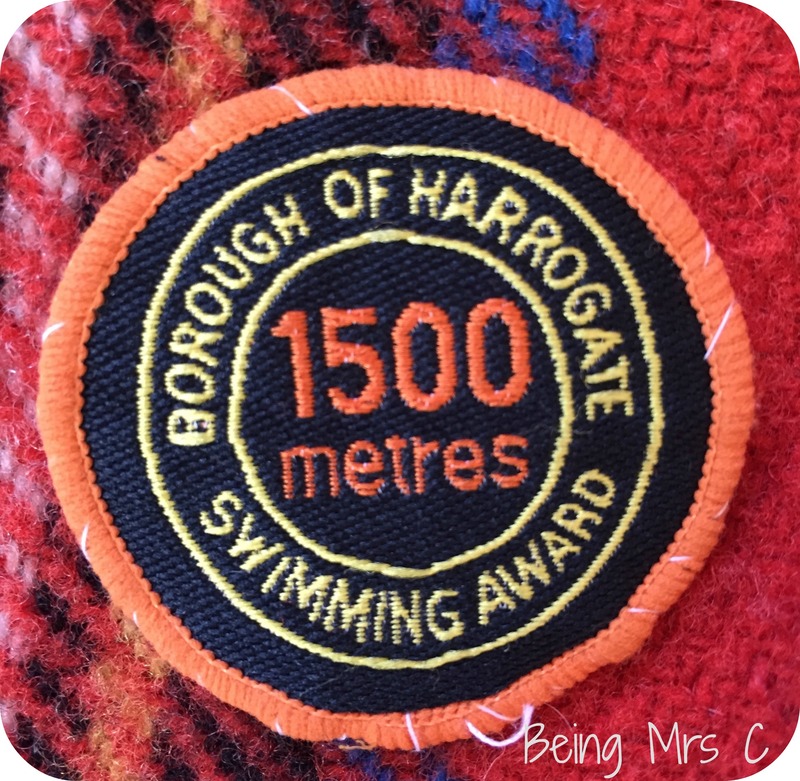 I’ve never been the strongest of swimmers and in a way wish I’d done more swimming as a kid. I see all the excitement my daughter’s got out of earning swimming badges and strangely kind of wish that I could be back being a child and earning badges again. Kind of like the way that I’d like to go back to being a Girl Guide again so I can work through all the interest badges that I used to yearn after as a child. Well, the good news is that I now sort of can. The Roy Castle Lung Cancer Foundation is a charity close to my heart. It’s over three and a half years now since I lost my father to lung cancer and I know that when he was diagnosed Roy Castle was one of the few people I “knew” who had been through the same battle. As a child of the late 70s and early 80s I used to love watching him on Record Breakers and seeing all the challenges that he set himself and others to help break records. When I received an email from them telling me about their Swim the Distance Challenge I knew that it was one I wanted to sign up for. Four new swimming badges have been launched by the Roy Castle Lung Cancer Foundation and participants (either individually or in families or other teams) challenge themselves to swim either a mile, five miles, ten miles, or even a marathon in a month. The beauty of this challenge is that there’s no prescribed date to complete it on and you can take it at your own pace over that month. My personal aim is to swim a mile in a month. There was a time when I was a teenager when I managed to swim a mile in an afternoon, but those days are long behind me now and if I’m honest I find my weekly swims utterly exhausting at the moment, but that’s what’s going to make this a real challenge. 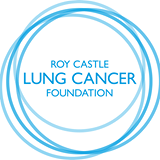 The Roy Castle Lung Cancer Foundation was founded in 1990 (originally as the Lung Cancer Fund) and is the only UK cancer charity to focus solely on Lung Cancer. The charity not only works to support Lung Cancer patients and their families, but also works to help prevent and cure lung cancer by helping to fund lung cancer research and encouraging and supporting people to avoid or stop smoking. They are also key in raising awareness of lung cancer and its symptoms to the public. I’m proud therefore to say that May will be the month that I try to help the Roy Castle Lung Cancer Foundation to help other families like mine. I’ll be swimming a mile in memory of my Dad and I really hope some of you will be able to support me in doing so. 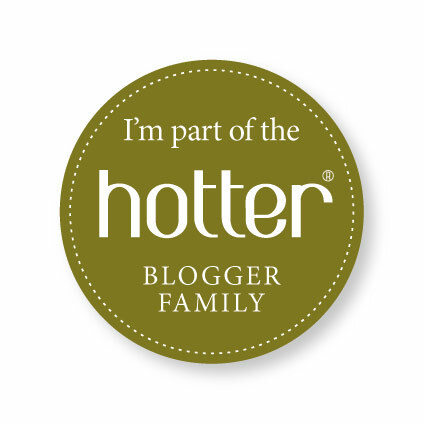 I plan to blog about how I get on and if I’m successful I may even celebrate by finally moving all my childhood badges on to a decent blanket (why did I ever think putting them on a tartan rug was a good idea?) 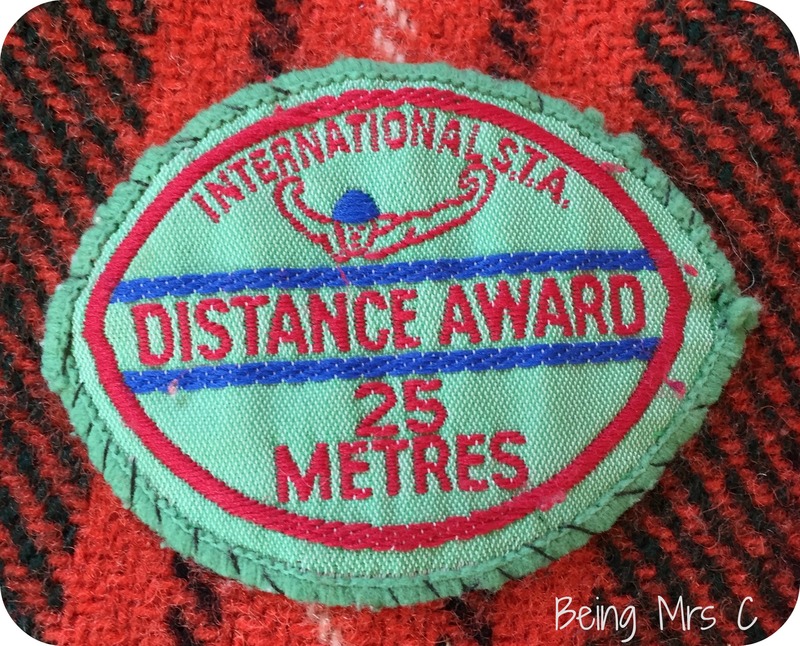 and sewing my Roy Castle Swim the Distance one next to them. 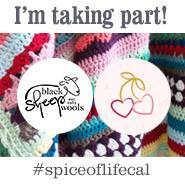 You can sponsor me in the Swim the Distance challenge by clicking below. That reminds I cheated on my 800m badge many years ago, sort of. It wasn’t my fault: whoever was counting my lengths was double-counting I think, because when the teacher waved me to get out I made it that I was just past half-way. I did say, but she insisted I was finished, so I took it. I’d practiced the distance a few times and was confident I could actually swim it, so I didn’t feel that bad at the time. So I shall assuage some guilt by sponsoring. Good luck!